Looking for that perfect fit for an open position at your healthcare organization can be overwhelming, tiring and a full-time job itself. Working with a professional recruiter gives you the ability to gear up your search for the perfect candidate. It’s not just about finding someone to fill the position, instead, it’s about finding a candidate that fits in terms of culture and hard skills who will help your organization move forward–whatever that may mean. If you are going to use a recruiter, it’s best work with someone who really understands healthcare and specializes in it. A generalized recruiter may not have the niche expertise or focused network needed to deliver the optimal candidate. Partnering with a recruiter expedites the hiring process so you can fill open positions faster and continue building your business instead of focusing on sourcing and attracting candidates. Additionally, leveraging a recruiter grants you access to their extended network of top professionals, who could be actively looking for a job or passively considering it. Either way, there may be candidates you simply can’t find with the resources you have. Recruiters typically have networks that took years to build through experience and dedicated networking. For those hiring managers or business owners who decide to leverage recruiting services to fill their next open position, here are four benefits of working with a healthcare recruiter. Help Accelerate the Hiring Process and Attract the Best Professionals ? Reach Passive Candidates Through Extended Networks ? They Know the Industry Inside and Out ? Provide A Process Tailored Towards Your Business’ Needs ? Check back soon for our blog post on “What is the Actual Cost of a Bad Hire”. The best healthcare recruiters work as an extension of your organization. Moreover, not all recruiting firms (or recruiters for that matter) are created equal. That’s why it’s important to ensure you choose wisely and work with a firm with great recruiters. Why? Great recruiters, who often have the best networks, can attract the best medical professionals. Sometimes candidates can be tough to find–they may be passive or highly selective. Either way, they may not be responding to job postings or see themselves as part of your talent pool. They may also be too busy to search full time. Even if they aren’t actively searching for a job, there’s a good chance that a recruiter will know how to reach them. 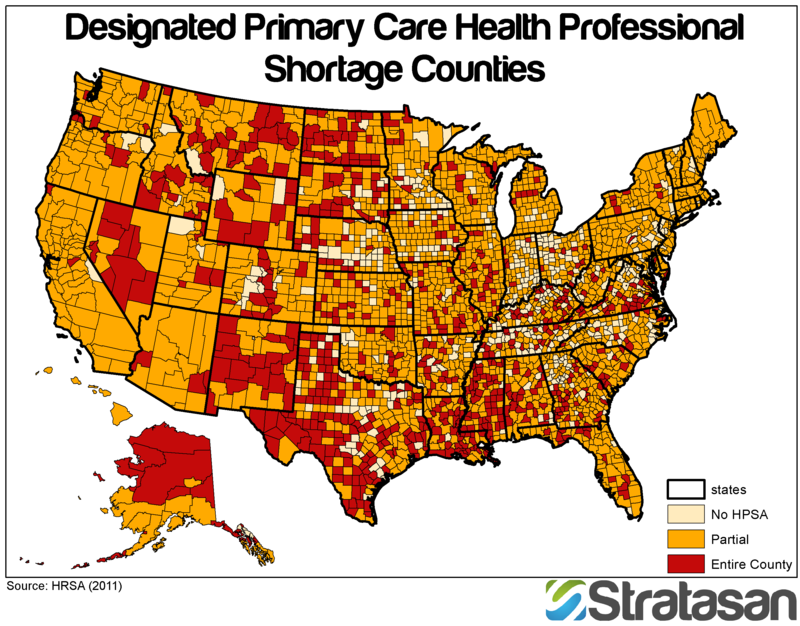 Healthcare recruiting firms have extended reach through many overlapping networks. They can leverage the network of every candidate, client and collaborator to connect you to professionals with a wide range of skills and experiences. It’s likely many of these would be off the radar to an in-house recruiting team or hiring manager. Despite the upfront costs of working with a recruiter, they can help you streamline your recruiting process by acting as a lifeline in a healthcare industry, where an open position may remain unfilled for months. Recruiters will be constantly sourcing and reaching out to passive candidates, who are oftentimes the best hires, with new and exciting opportunities. This also means that candidates may be brought in for open positions without excessive cold calling or direct recruitment initiatives. Keeping fully staffed during busy times is never easy. Healthcare organizations are tapping into recruiting resources to address this, grow their businesses, address seasonal labor fluctuations, the opening and closing of united and acuity needs. Additionally they may use recruiting services to assist with fluctuations in census or business project management, software conversions or any other critical change or challenge. Recruiters have the industry experience, knowledge and processes to effectively assess each and every candidate’s fit for a specific job. This makes for a very efficient process. With a highly efficient recruiting process, you can significantly lower costs in the long run. Recruiters can bring in the right candidates because they understand your industry and can use industry terminology in job postings that align with your organization’s vision and culture. Staffing companies have the expertise to find the optimal candidate (or candidates) to fit client needs, granting the opportunity and flexibility to quickly address skills shortages and fluctuating demand. 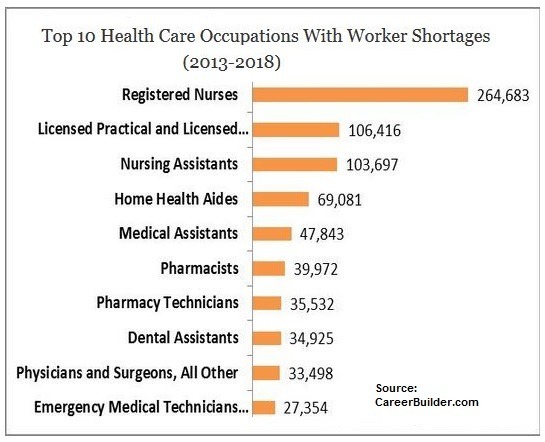 Currently, specialized registered nurses and advanced practice specializations such as physician assistants, physicians, nurse practitioners (NP), pharmacists, therapists, and experienced healthcare IT professionals are all in high demand. Additionally, allied healthcare professionals, such as registered dietitians, medical technologists and patient care associates are also needed. A recruiter will have his or her ear to the ground when it comes to industry hiring trends so that your organization can stay ahead of the curve. Staffing firms can help you find the best candidate, especially when it comes to specific skill shortages. It’s always hard to know if you’ve hired the right person, but whenn you work with a recruiter, a rigorous screening and hiring process will be conducted to ensure the candidate delivered has the hard skills and soft skills, which are often a challenge to identify, necessary to guarantee success moving forward. New healthcare mandates demand that facilities deliver “service excellence” to patients. This means that receiving high marks on patient surveys is very important, otherwise it may affect your bottom line. With the right staff that has the right attitude and skills, you can increase your chances of delivering service excellence significantly. The alternative option is to manage the hiring process yourself and risk hiring the wrong person. If that happens, you’ll likely have to backtrack and hire someone else, which requires a lot of time and money. Check back soon for our blog post on “What is the Actual Cost of a Bad Hire“.